This is on 20" x 16" stretched canvas in oils. 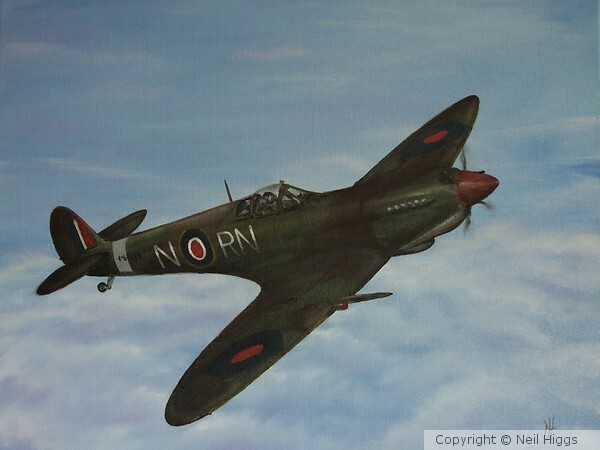 It depicts a Spitfire IX of the RAF during the Operation Torch period of the World War II. I love the contrast of the dark plane against the beautifully executed clouds below. I think I can hear the propellers as they cut through the air. Well done my friend!